Hi everyone! 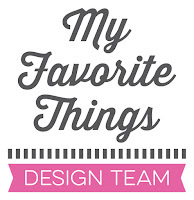 Today is the last day of the My Favorite Things February release countdown. This release is absolutely fabulous! The new products will officially be available on the MFT online store in a few hours!!! Yay!!! Most of the supplies I used for this project are linked at the bottom of this post. I created a top-folded card base using Smooth White cardstock and used Berrylicious cardstock for the front panel. The dotted patterned paper is from the Sweet Celebration paper pack. For the bear’s T-shirt, I chose the paper piecing technique. 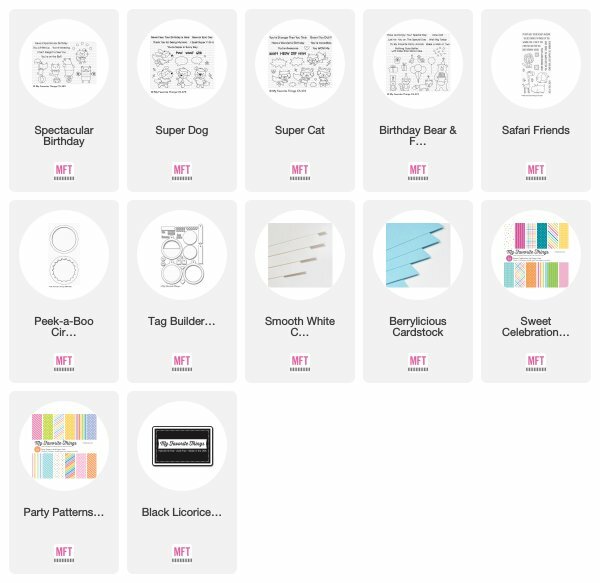 The rainbow pattern is from the Party Patterns paper pack. The tiny star was die cut using the Tag Builder Blueprints 6 Die-namics. The tiny bird is from the Safari Friends stamp set as well as the leaves. The clouds are from the Super Cat set, the speech bubbles from the Super Dog set and the balloon from the Birthday Bear & Friends set. 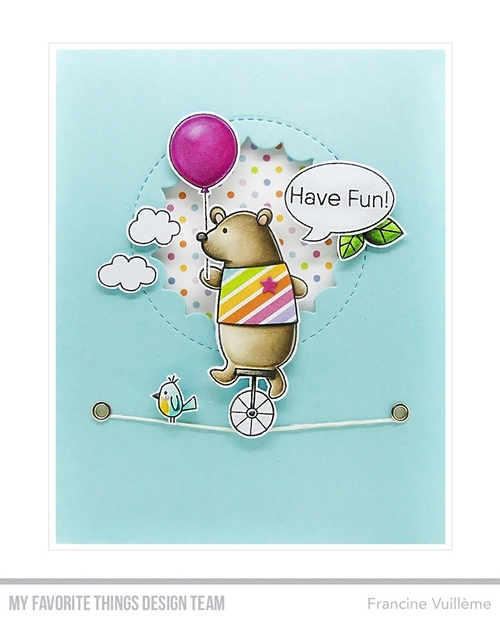 Sweet balancing bear and birdie, love it! So Cute!! I love that you put the string on there for him to balance on! ADORABLE! Cute card!! I love how you used the string. So clever!! How smart to build a tight rope for the bear to show his skill! Another really cute card! I love how you added the string and sweet little bird...so fun!